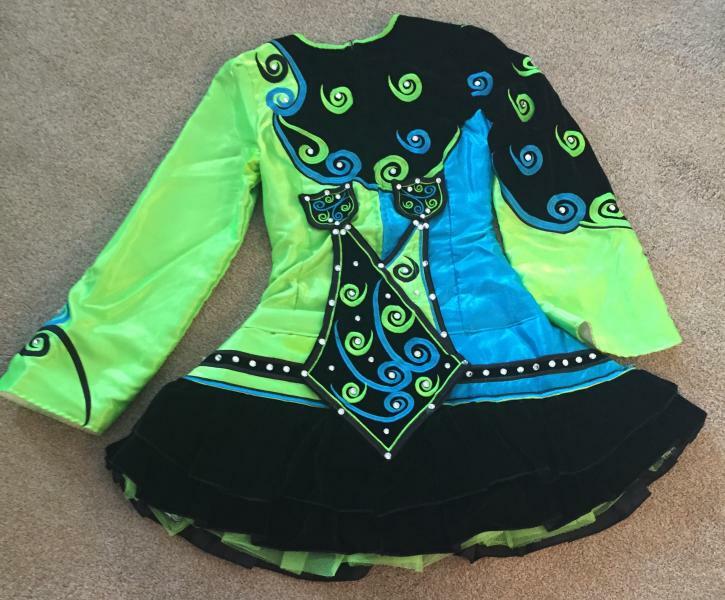 dance.net - Bright Blue And Green Solo Dress (10244197) - Read article: Ballet, Jazz, Modern, Hip Hop, Tap, Irish, Disco, Twirling, Cheer: Photos, Chat, Games, Jobs, Events! 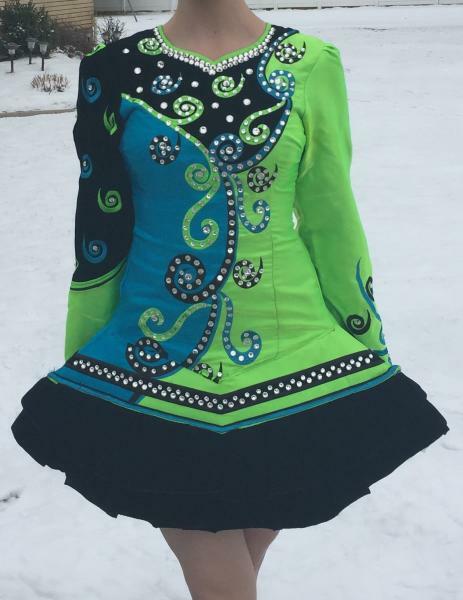 This stunning blue and green dress will be sure to make your dancer stand out. The colors are the most true in the second picture. Comes with headband and kick-pants. There is room to let down the skirt.